My friend Alicia is an amazing photographer! 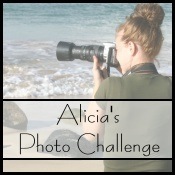 Every Friday on her blog, she has started giving photography lessons and then submits a challenge to her readers. So here is my submission for her lighting challenge. Both pictures are as in, no Photoshop involved. One of my favorite places to shoot is right along our big sliding glass doors. I always shoot in the morning before the harsh noon day sun is making big shadows across the floor. I sit my kids along the door and I also sit along the door and then I turn my flash off. I love how much texture and depth pictures have when they are taken without a flash. And well I had a hard time picking just one.. so my next pictures is this This one is to show how light can be used as a tool. I made sure the setting sun was behind Alex while taking this picture. That way the light is able to just glow around her. If any of the sun had been poking, then Alex would look be merely a dark silhouette. Oh what a doll baby she is!!!! 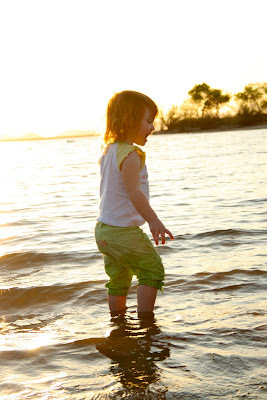 I have a preschooler with her beautiful coloring - so wonderful to take pics of!! Love the photos, especially the water one - beautiful! I also enjoyed how you shared your thought process!!! Thanks, Emmy! I LOVE the 2nd one! Beautiful!! You are very talented Emmy. The pictures are beautiful! Beautiful pictures! She is so cute! Those two have always been two of my favorites of her! Great pics and what a cute little lady!